How Would “Justice Garland” Address Environmental Issues? We previously shared with you the critical role that the late Justice Antonin Scalia played in landmark Supreme Court land use decisions. So now let’s look at how Judge Merrick Garland, President Obama’s current nominee for Justice Scalia’s seat, might shift the ideological leanings of the Court on environmental issues, if confirmed. Although leading experts are still analyzing Garland’s past opinions to discern his potential influence on future Supreme Court environmental law decisions, there appears to be universal agreement that Garland’s addition would make the Court more likely to defer to agencies’ regulatory interpretations, rulemakings, and rule implementation. In particular, those legal analysts have found consistent deference to actions of the Environmental Protection Agency. 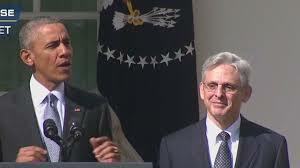 As SCOTUSblog noted in 2010, “Judge Garland has in a number of cases favored contested EPA regulations and actions when challenged by industry, and in other cases he has accepted challenges brought by environmental groups.” Indeed, according to Bloomberg, one third of Garland’s dissents have been over challenges to agency decision-making. In all of those dissents, Garland sided with the agency. UCLA Law Professor Ann Carlson analyzed three important Garland decisions, two majority opinions and one dissent. From these opinions, Professor Carlson deduced that Garland is likely to afford great respect to EPA’s judgment where that judgment is grounded in good science and the public interest. Carlson expects Garland to be likely to defer to the EPA or, where he rules against the EPA, to side with environmentalists on the grounds that the EPA has not gone far enough to enforce the law. As an example of Judge Garland’s judicial leanings, in 2014 Garland joined a unanimous appellate court panel in upholding the EPA’s Mercury and Air Toxics Standards rule, which would reduce air pollution from coal and oil-fired power plants under the Clean Air Act. Fourteen months later, however, the Supreme Court blocked the regulation by a 5-4 ruling written by Justice Scalia, requiring the EPA to go back and reconsider compliance costs associated with the rule. Then, in a subsequent ruling written by Judge Garland, the U.S. Court of Appeals for the D.C. Circuit allowed the EPA to enforce its Mercury and Air Toxics Standards rule while fixing the flaws in the regulatory program identified by the Supreme Court. This back-and-forth suggests that Garland’s views on deference to agency decisions differ significantly from Justice Scalia’s, with Garland favoring more regulatory discretion for the EPA and other public agencies. Judge Garland’s record on EPA cases recently led U.S. Senator Pat Toomey to oppose Garland’s nomination on the grounds that “Garland’s record raises doubts that he would serve as an independent legal check on the EPA and other agencies.” Toomey further asserts that Garland has sided with the EPA in over 90% of the EPA cases before Garland’s court. While Toomey’s position has not been widely adopted as a basis for opposing Garland’s nomination, it shows that Garland’s deference to public agencies is likely to provide cause for concern in certain political circles. The fate of President Obama’s Clean Power Plan, the first federal rule to limit carbon emissions from existing power plants, could be tied to Judge Garland’s nomination. A challenge to the Clean Power Plan is now set to be heard in early June by a panel of the U.S. Court of Appeals for the Second Circuit. (While Judge Garland sits on the Second Circuit Court, he is not on the panel hearing this case.) Should he be seated on the Supreme Court when and if it hears a likely appeal of the Second Circuit’s ruling, his presence could alter the result in that case and, more generally, fundamentally shift the Court’s view of the authority of the EPA and other public agencies.